But today I saw beautiful, impermanent lenses sparkling in the noon sun. This is the fence around the lot where ish & chips burned down on King St in uptown Waterloo. Water must have dripped down from the adjacent building and froze here. The light-bending ice was as delightful as the negative spaces punching through to the empty lot. The fence has absurdly enclosed the flat, featureless, gravel lot for the past year and a half, however today it made possible something really quite stunning. 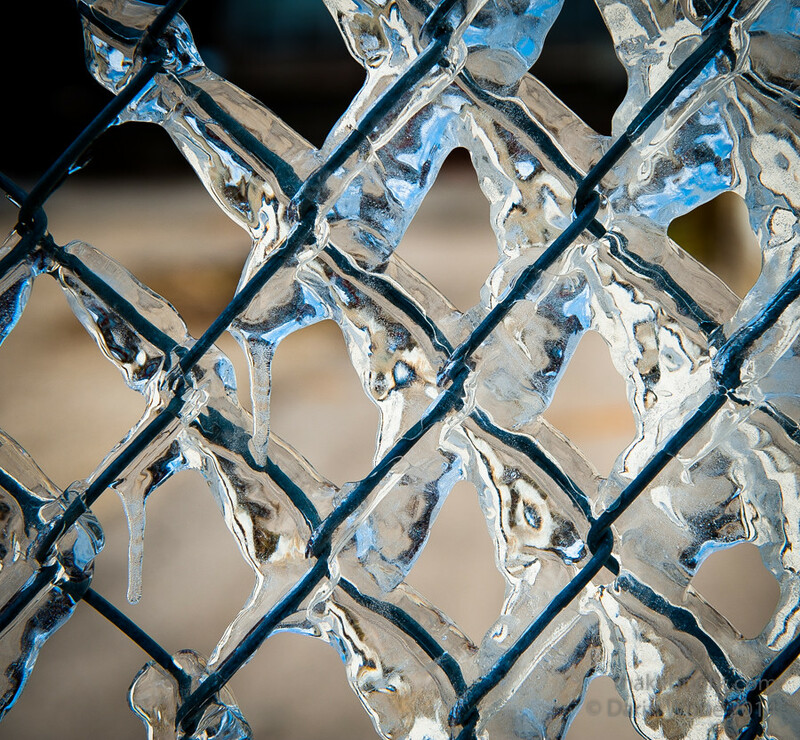 This entry was posted in photography and tagged fence, ice, uptown, waterloo. Bookmark the permalink.